Utility Computing offers on-demand services from a shared pool of resources and can be envisaged to be a benchmark in the IT development. The capability to provide on-demand services involves management of large number of resources that are geographically dispersed and thus poses a number of resource management and scheduling challenges in the domain of resource heterogeneity, dynamic resource locations and load balancing. Proficient resource allocations and efficient scheduling helps in achieving optimal resource utilization and hence enhances the performance of the system. 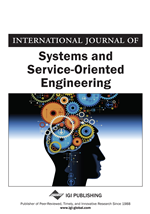 This paper evaluates existing resource management systems, listing their key characteristic features and highlighting the factors that make the existing systems excel upon each other. It also discusses various resource scheduling techniques currently available and characterizes the techniques based on Quality of Service (QoS) parameters supported by them along with the classification on basis of their operating environment and further extends towards load balancing and energy efficiency support if available. What is the role of resource allocation and scheduling in Utility computing systems? Which resource management systems are available in the market and what features make them excel over each other? What resource scheduling methods are available and how much they ensure optimal resource utilization in addition to achieving economies of scale? Which scheduling strategy best optimizes program execution and usage of necessary infrastructures? Which resource scheduling strategy can cater to the changing market demands and provide the clients with the QoS they require? Whether any scheduling technique supports balancing of loads among resources, minimizing energy wastage?